Hatchet and Smith are an odd couple. Smith is trying to prove that he is just as valuable in the field as he is back home, and Hatchet is just trying to keep Smith alive. I have not read all of the books in order, but I don't think it's necessary. This is a fast-paced story with a lot of action and some steamy scenes, but not a lot of character development. Overall, it was a quick read that would entertain some, but isn't for everyone. 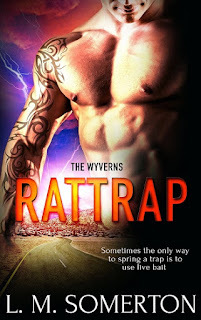 For reviews & more info, check out our Rattrap post. 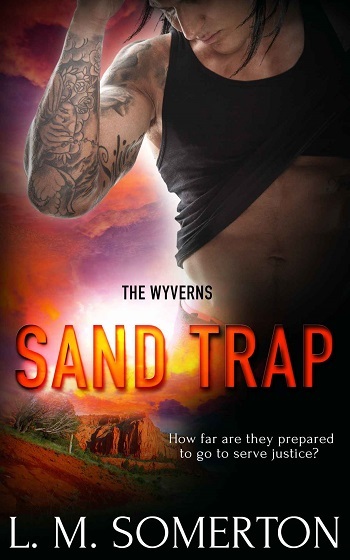 For reviews & more info, check out our Sand Trap post. Reviewers on the Wicked Reads Review Team were provided a free copy of Steel Trap (The Wyverns #5) by L.M. Somerton to read and review.